We’ve all seen Rita before,right? On almost every red carpet in Lagos, every other week making some good, not so good & sometimes wtf fashion choices. I’m told this creature below is Rita, but I’m not convinced. This looks nothing like Rita. Who’s nose is that? Where did they get those malformed cheekbones? Those lips? Who’s purple paint is that & why is it smeared all over her lips without restraint? Why are we styling her in that frumpy blouse? Why do her hands look all puffy & swollen? Which obviously underpaid intern at Genevieve mag is responsible for this disaster? WHO IS THIS PHOTOSHOP MONSTER? 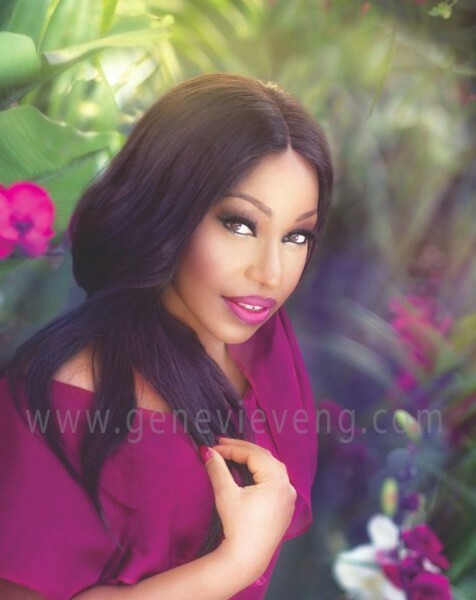 If your photoshop isn’t running today or tomorrow, blame it on this alien on Genevieve magazine.